NLI Associate, Adeola Austin Oyinlade has been named by the African Union to popularize and digitize the African Youth Charter. While unveiling him and speaking to the young African Leaders at the AU Youth Experts’ meeting in Addis Ababa, Dr. Raymonde Agossou, Head of Division Human Resources and Youth Division of African Union, announced that Adeola , a United Nations’ Young Ambassador for peace and President, Know Your Constitution Initiative in Nigeria, has successfully used law, social media, radio and mobile applications successfully as tools of Social Engineering and problem- solving. Adeola, a law graduate of the University of Lagos, was invited by the African Union Commission in April 2011 as a guest speaker at the plenary session of the African Youth Forum where he addressed the forum on Readiness to reform National Laws and Legislation in compliance with the African Youth Charter. His recommendations were part of the Forum resolutions presented to the Africa Union Head of States at the Malabo, Equatorial Guinea AU summit, in July 2011. The thrust of the agreement signed on 4th November, 2011 at the African Union Headquarters in Addis Ababa, Ethiopia between the African Union Commission, Youth Division and Adeola for Know Your Constitution Initiative, is that he will develop mobile and facebook applications of the African Youth Charter in the six (6) African Union Official Languages: English, French, Arabic, Portuguese, Swahili and Spanish and genarally popularize the African Youth Charter so that every phone user in Africa can have access to the Charter at the push of the button on their palms. “The African Youth Charter enshrines the rights and duties that are critical to the survival of African Youths. Being an international treaty, it has to be signed, ratified, and transformed into the local laws by the African Union member- states before implementation. Many countries have not yet ratified the charter, not to talk of domestication,” Adeola observed in Addis Ababa. He carried out opinion polls online alongside other Young social developers scattered across Africa in 2011 and realized that about Eighty Five percent (85%) of African Youths had not heard about the charter, let alone engaging their government to sign, ratify, transform into local law and implement the charter. He was of the view that African Youths cannot engage their leaders on the content of the charter because they are ignorant of their rights and duties contained in the document. Adeola added that it would take twelve months to complete the project as it would not only involve mobile applications but also massive awareness campaigns. “My team will work with young technocrats, Young Africans who have distinguished themselves in important areas of life, Pan African Youth, National Youth Council of AU member- states and others” while responding to questions at the African Union Headquarters in Addis Ababa. His immense contribution to expanding the frontiers of Liberty, Human rights, democracy and happiness of Nigerians and Non- Nigerians alike through the Initiative has fetched him recognitions and awards from many national and international organizations and recently, the US Department of state in May, 2011 featured him on the US Government blog for helping Nigerians know their rights and immense contribution to the development of Africa. For details about the US department of state recognition, kindly click here. Adeola was invited as a speaker at the African Parallel session of the 7th UNESCO Youth Forum on October, 2011 in Paris, France to give a testimony on youth- led social innovations from the perspective of his Initiative. He was commended by the United Nations High Commissioner for Human Rights, Ms Navanthem Pillay last year for his ‘work to promote understanding and awareness of human rights in Nigeria when he distributed 10,000 copies of the Nigerian Constitution to Lagosians to mark the International Human Rights Day 2010 and demonstrated the relevance of the provision of the constitution to their daily life activities.’ He also organized a two- day Human Rights international Conference to empower Nigerians and Non-Nigerians alike free with 22 National and International lawyers as resource persons. 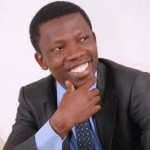 He has written many articles in contribution towards debates on national and international issues such as good governance in economic and social development, peace and security, Human rights, democracy, rule of law and the United Nations Millennium Development Goals which have been published in Nigeria and international print and online media. For details about Adeola, click here. © 2014 NLI. All rights reserved.